List of MCQ asked in June 2015 theory exam purely based on recall method. You can correct the question and also add more question in the comment box. 1. Which of these is not used for treatment in pphn? 2. How many % of neonates<1000 gm will develop rop? 7. Which is major whey protein present in both human& cows milk? 11. Child make tower of 4 cubes at? 13. Child can use past tense at? 14. 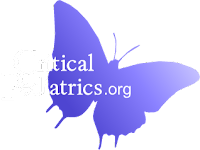 Rate of chest compressions in neonatal CPR? 15. Rome 3 criteria used for diagnosis of? 16. Drug used for treatment of pertusis in neonate? 17. PAPA syndrome doesn't include? 18. Drug not acting on vibrio cholera? 31. Qt interval prolonged in neonates commonly due to? 55. Gdm mother with recurrent reproductive failure comes in which category? 58. Protein supply to preterm according to ESPGHAN? 60. Congenital toxoplasma infarction can cause? 62. Psudohyponatremia caused due to? 64. Mid diastolic muffle at apex is not due to? 65. Large vsd leads to failure at? 69. Vaccine for catch up immunisation of adolescent? 72. Which is not pyridoxine dependant? 74. Candida test is diagnostic for? 77. 16 wks female with lethargy,alopecia, skin rash? 79. Direct reacting bilirubinemia seen in? 80. Acute liver failure caused by? 81. Cold agglutinin caused by? 82. 17 days old neonate with invented t wave? 83. 1St segment sagging in pt on digitalis.what's action to be taken? 84. Respiratory pathogen causing infection by paralysing respiratory cilia? 85. Diff between ciliary dyskinesia and cystic fibrosis? 86. Sudden cardiac death in which cardiomypathy? 87. Autistic disorders doesn't includes? 90. Common abdominal mass in child? 97. Burnold solier platelet disorder pathology? 99. Child with fever cough and conjunctivitis?